There’s nothing we love more than a new venue coming to town so it’s with great pleasure, and with a weight of expectation, that we are able to give you a sneaky peak at a new venue at Summer Row, Fleet Street Kitchen. This new eatery is brought to you by the group behind Mechu and Après, stalwarts of the Birmingham night-life scene. The conversion of the building that used to house Bluu at one end of Summer Row is well under way and the doors will be flung open to the public on Friday the 1st of March. The bar downstairs will host regular live sessions but the main event has to be the food. It’s speciality will be charcoal Barbecoa grilled meats, but not just any meats, they’ll be handpicked rare breeds to ensure the best of British. They’ll also offer whole fish, chicken, and burgers, cooked on the grill for smoky charcoal deliciousness. 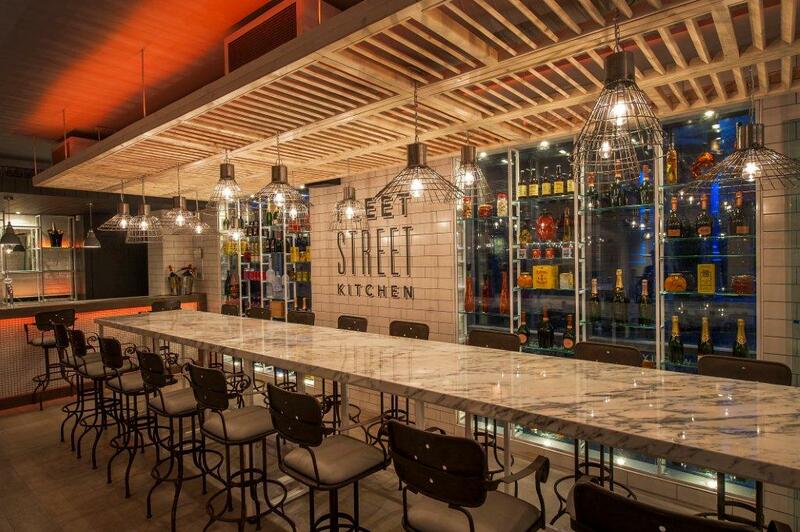 While Après offers a recuperating burger for the Sunday morning post-Gatecrasher hangover, Fleet Street Kitchen is aimed at the slightly older more affluent crowd who want to enjoy time with their friends in comfortable surroundings. Whether it’s sharing a deli board, getting together for Sunday lunch, or listening to jazz or a DJ on a Saturday night downstairs, the plan is for it to be a convivial space to be enjoyed with good beer, good wine, and good food. We’ve been invited to a preview evening so we’ll be sure to get there and give it a thorough reviewing before it opens, so watch this space. This entry was posted in Area: Summer Row, Cuisine: Steakhouse and tagged Birmingham Restaurant, birmingham restaurant review, out in brum, OutInBrum, restaurant review, Where To Go In Birmingham. Bookmark the permalink.